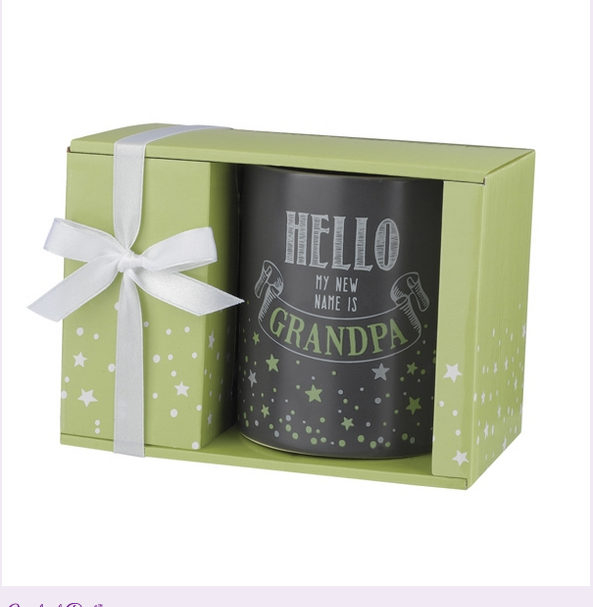 Coffee mug for new Grandpa in gift box with ribbon. 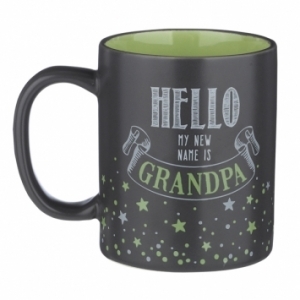 Hello my new name is Grandpa celebrates the new bundle of joy coming! 4 1/8" x 5" x 3 1/2", 12 oz.